Prisila Barroso is the first female technician at Jaguar Land Rover Fairfield. FAIRFIELD — Prisila Barroso, 17, first noticed her father working on cars from a young age. But now, it’s Barroso who’s teaching her father a thing or two about how cars work as she recently graduated from the arduous Jaguar Land Rover Academy in Mahwah, N.J., a program one has to be nominated for. That comes with the added distinction of being the first woman to graduate from the program and also the first to be a technician at Fairfield Jaguar Land Rover. Ted Orazietti, who has been in the automotive business for 26 years with two of those at Fairfield Jaguar Land Rover, said that he had known Barroso since her high-school days at Bullard-Havens Technical High School in Bridgeport, where she studied automotive shop. “We interviewed her at school. She has a great personality — during interviews we watched them work, see what questions they make and I thought she would be a great fit,” Orazietti said. Orazietti highlighted the intensity of the program. 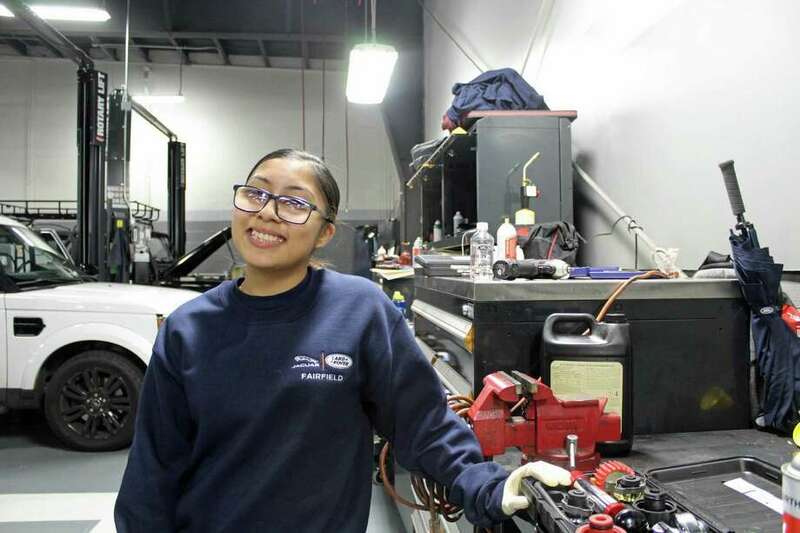 During her experience at the nearly seven-month long apprenticeship that is split up into three phases, Barroso, like many times throughout her automotive learning, realized she was the only woman in the course. “I felt like I was the first one, they were all surprised in the classroom and that’s true, there’s not that many women in the workspace,” Barroso said. Ryan Ambrifi, owner of Jaguar Land Rover Fairfield, emphasized Barroso’s work ethic and cheerful personality. Barroso is still constantly learning about cars as new updates and technology is advanced.